Remembering the butterfly effect and the power to change lives. Home arrow_forwardThe Doobert Caretakerarrow_forwardRemembering the butterfly effect and the power to change lives. The butterfly effect is the concept and belief that small things can have impacts on something seemingly unrelated. For example the idea that a single butterfly flapping its wings could be the catalyst for a series of events and ultimately cause a typhoon on the other side of the world. It’s not that the butterfly itself is flapping so hard as to initiate this catastrophic event, but rather the idea that small events can serve as catalysts for other, larger impacts on the world. That butterfly flapping it’s wings could be just enough disruption in the air to cause the storm to begin. 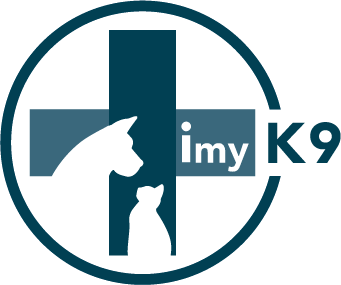 I have written previously about how I enjoy networking with people with a common interest in helping animals so it should not come as a surprise that when I saw a startup pitch for an animal centric device on our local Milwaukee television station, I immediately reached out to learn more. The device is iMyK9 (http://www.imyk9.com/) which is a unique pet monitor for a vehicle similar to those baby monitors that have video capabilities. They are just about to launch the product and I would encourage you to check it out for sure because it has the potential to save so many lives. We spent nearly an hour on the phone talking, networking and sharing our personal stories about why we do what we do. We laughed together and we cried together and I feel as though I took away so much more from the conversation than I ever could have imagined. It’s difficult sometimes to think about how the small impacts we may do personally can lead to even larger impacts in the world. But people like Karen remind me that when things seem at their bleakest and when you’re ready to give up George Bailey style, to stop and consider the effect that you are having and the effect that you have had on the world. Every person you encounter in animal rescue is influenced by your dedication and passion. Every animal you rescue is forever in your debt for saving their lives. Your contribution to animal rescue, no matter how small or seemingly insignificant, is leading to the hurricane of compassion and volunteerism for animal welfare and to ultimately to the day when animals are not suffering at the hands of man. 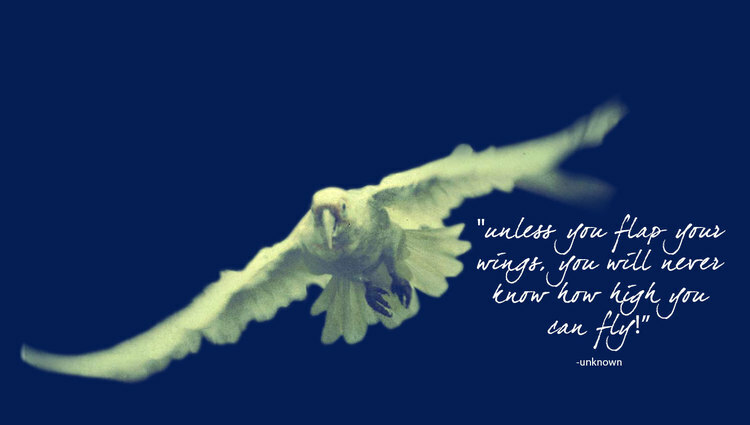 So I implore you, flap your wings. Spread your love. Share your passion. 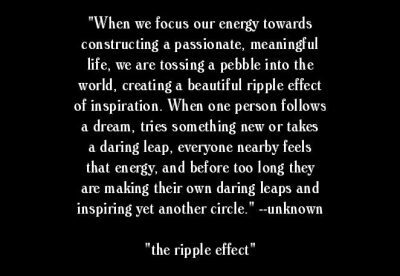 Your butterfly effect will join with mine and together make the difference that much larger.